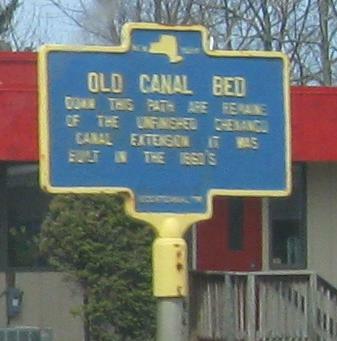 Unlike NY 17C to the north, the entirety of NY 434 was old NY 17. At the first photo below, NY 17 came in from the left across the Susquehanna, following the south shore (434) instead of the north shore (the rest of 17C) until it crossed again into Binghamton. 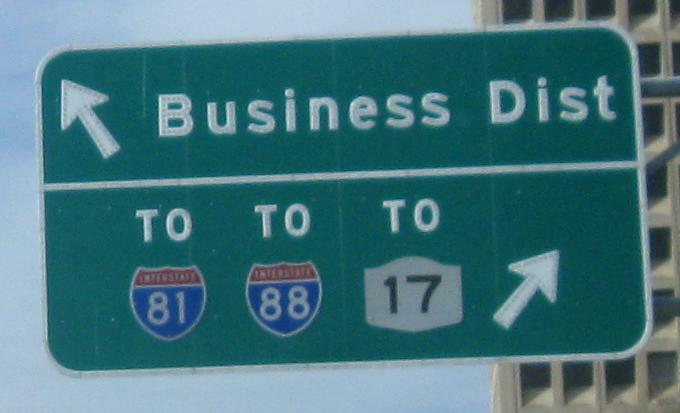 The shield at the top of this page, with old NYSDOT font, must date from when 17 was first moved off of this road. Yet another signed reference route on my site (they're supposed to be secret, for state maintenance logs only). The first photo is on what was once NY 283 EB until NY 17 rolled in as the Southern Tier Expressway and cut the old 283 in half. The second photo is at the end of NY 434 WB. 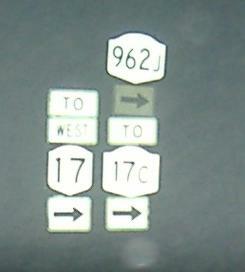 962J, signed TO 17C, is old 17, as is NY 434 (signed TO EAST 17). 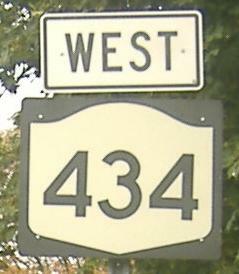 434 signage increases in frequency as one gets closer to Binghamton. The NY 201 SB ramp to old NY 434, now Broome CR 44. WB at and onto that old road in Vestal. The Vestal Pkwy. 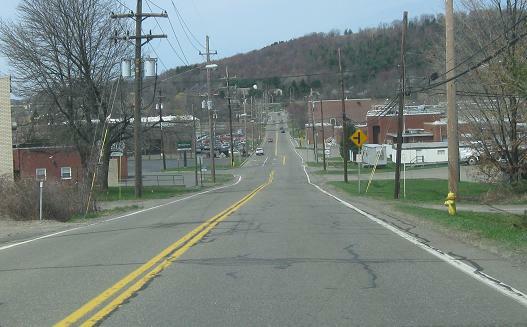 section of NY 434 and on WB into Vestal from Binghamton. Drive the Vestal Parkway EB by clicking on this video. NY 434 eastbound as it crosses the Susquehanna River into downtown Binghamton. 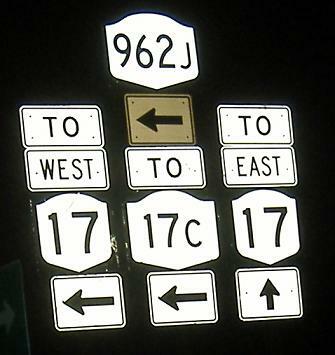 The sign in the second photo marks where NY 434/old NY 17 heads straight into the center of Binghamton toward US 11, and after one split for Susquehanna St., the signs in the third photo are found on the ramp to NY 363 (top half on the left, bottom half on the right). 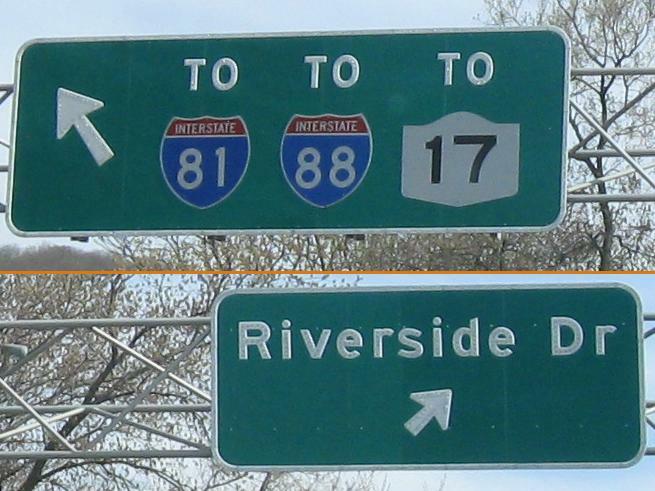 Riverside Drive is the end of NY 363 SB, and all of those other routes are really NY 363 NB. That route gets no respect. The Exchange St. bridge in the background as I merge into NY 363 NB.